1. CsPTX1, a pentraxin of Cynoglossus semilaevis, is an innate immunity factor with antibacterial effects. Author: Wang T, Zhang J. 2. Analysis of digital gene expression profiling in hemocytes of white shrimp Litopenaeus vannamei under nitrite stress. Author: Guo H, Xian JA, Wang AL. 3. The first molluscan TRIM9 is involved in the negative regulation of NF-κB activity in the Hong Kong oyster, Crassostrea hongkongensis. Author: Liu Y, Li J, Wang F, Mao F, Zhang Y, Zhang Y, Yu Z. 4. Effects of dietary live and heat-inactive baker's yeast on growth, gut health, and disease resistance of Nile tilapia under high rearing density. Author: Ran C, Huang L, Hu J, Tacon P, He S, Li Z, Wang Y, Liu Z, Xu L, Yang Y, Zhou Z. 5. Changes in integrity of the gill during histidine deficiency or excess due to depression of cellular anti-oxidative ability, induction of apoptosis, inflammation and impair of cell-cell tight junctions related to Nrf2, TOR and NF-κB signaling in fish. Author: Jiang WD, Feng L, Qu B, Wu P, Kuang SY, Jiang J, Tang L, Tang WN, Zhang YA, Zhou XQ, Liu Y. 6. Effects of dietary oxidized konjac glucomannan sulfates (OKGMS) and acidolysis-oxidized konjac glucomannan (A-OKGM) on the immunity and expression of immune-related genes of Schizothorax prenanti. Author: Chen M, Wang H, Yan Q, Zheng Q, Yang M, Lv Z, He M, Feng L, Zhao J, Tang T, Wu Y. 7. Immunity to nervous necrosis virus infections of orange-spotted grouper (Epinephelus coioides) by vaccination with virus-like particles. Author: Lin K, Zhu Z, Ge H, Zheng L, Huang Z, Wu S.
8. Cloning and differential expression of a novel toll-like receptor gene in noble scallop Chlamys nobilis with different total carotenoid content. 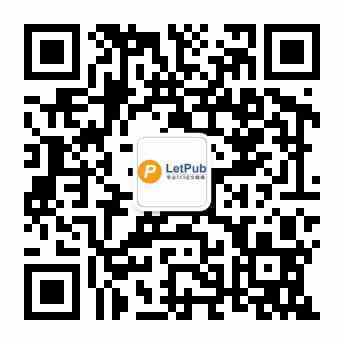 Author: Lu Y, Zheng H, Zhang H, Yang J, Wang Q. 9. A galectin from Hyriopsis cumingii involved in the innate immune response against to pathogenic microorganism and its expression profiling during pearl sac formation. Author: Bai Z, Zhao L, Chen X, Li Q, Li J. 10. A fibrinogen-related protein identified from hepatopancreas of crayfish is a potential pattern recognition receptor. Author: Chen Q, Bai S, Dong C.